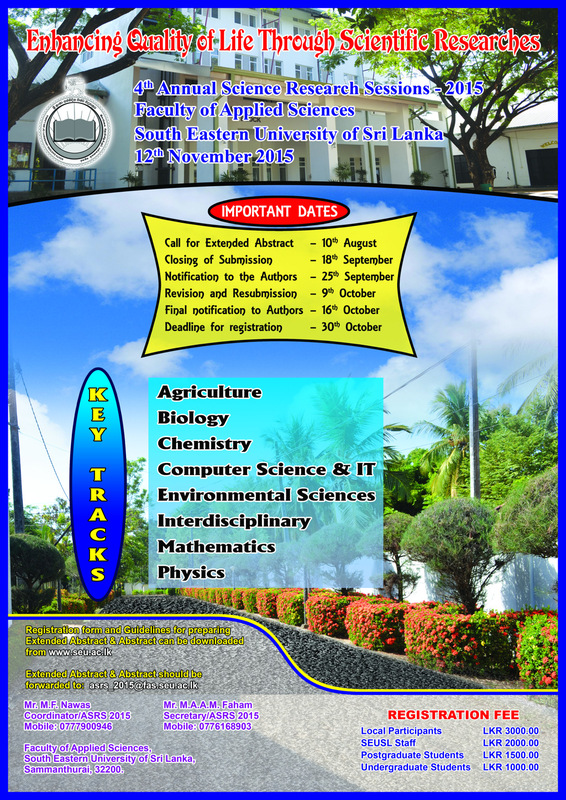 The Fourth Annual Science Research Sessions 2015 organized by the Faculty of Applied Sciences, South Eastern University of Sri Lanka, Sammanthurai is going to be held on 12th November 2015. 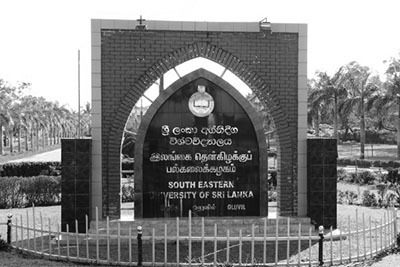 The research sessions will be a science based multidisciplinary conference where the research papers will be presented under different research tracks. The sessions aims to bring together leading researchers, scientists, academics and research students from various universities and institutions of the island to exchange and share their knowledge and research experience about all aspects of Science.